Windows 10 is being with us but still, the unplanned errors are occurring and disturbing the users from time to time. One of the most unpleasant errors is update error 0x80070422. Well, this is no different from other Windows update error. Just like them, this can be fixed by performing some working solutions to resolve update error 0x80070422. The error code 0x80070422 is quite frustrating as this prevents the users from downloading the update and as a result, your system might get vulnerable and also you can miss out some of the new features. So if you are one struggling with the Windows 10 update error 0x80070422 then here follow check the solutions to fix it. Well, there is no any definite fix for the update error 0x80070422, so here we have tried some of the working solutions to resolve Windows 10 update error x080070422. 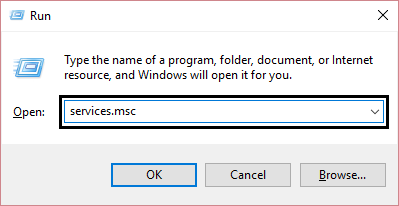 First press Windows + R Key > type services.msc > hit Enter. If any of the above services are stopped > then click on Start under Service Status. And right-click on Windows Update service > choose Restart. Then click Apply followed by OK > and restart your PC to save the changes. Hope doing this will help you to get rid of update error 0x80070422. 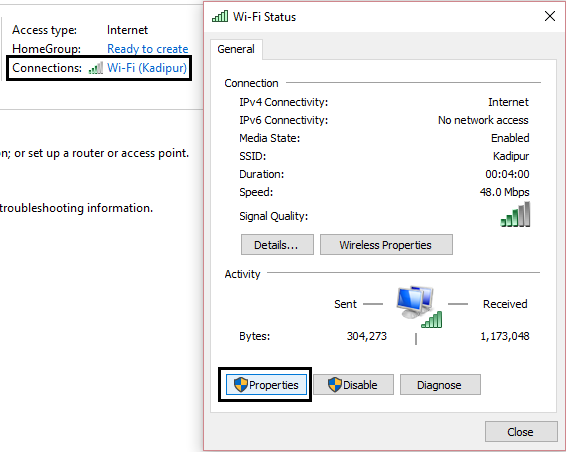 It is found that many users have fixed the update error 0x80070422 in Windows 10 by disabling the IPv6. So it is recommended to try disabling the IPv6, hope doing this will help you to fix the error. 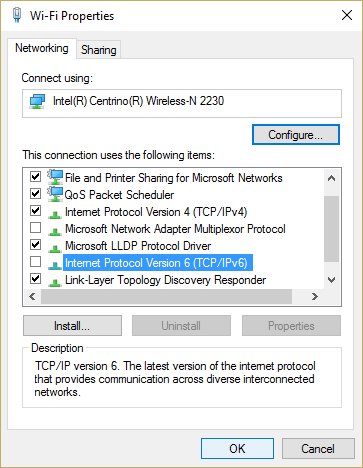 And here click to uncheck Internet Protocol Version 6 (TCP/IP). Next click OK > then Close. Last, restart your PC to save entire changes. If the above-given solution won’t work you then try to check EnableFeaturesSoftware data. Please Note: Depending on the Windows 10 version that the path to reach EnableFeaturedSoftware may be slightly different. 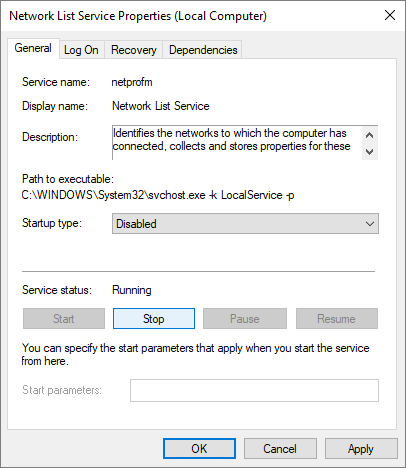 Try disabling the network list service, this worked for my users to fix the error. Press Windows + R key > type services.msc > hit Enter. 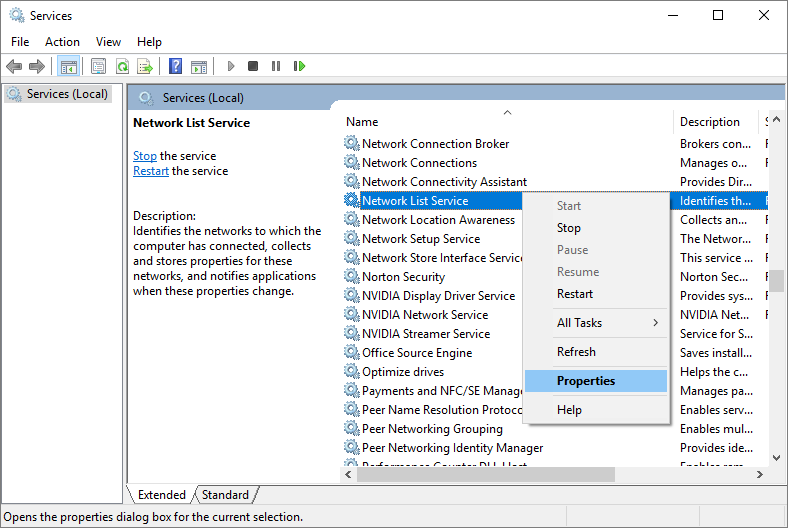 Next, locate and right-click on Network List Service > choose Properties. Now click Apply followed by OK.
Lastly, restart the Windows operating system for saving the entire changes. 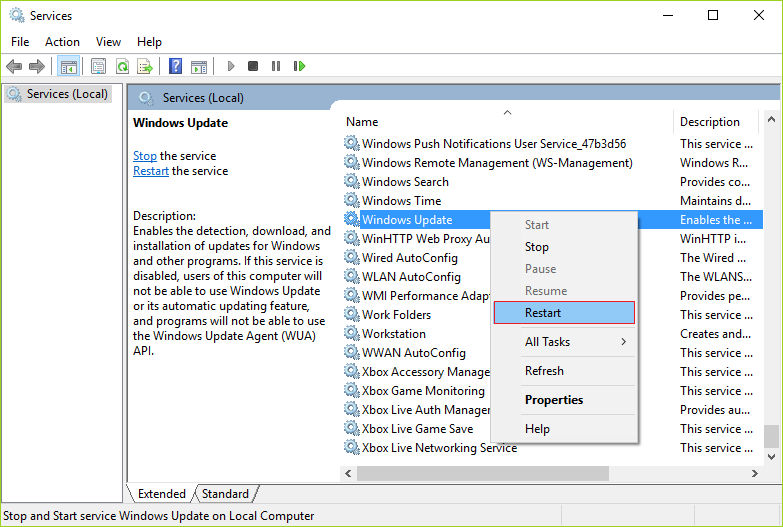 Lastly, if you are still facing the update error 0x80070422 in Windows 10, then it is recommended to make use of the Windows Update troubleshooter. So, here it is advised to make use of this tool to fix Windows 10 update error code 0x80070422. This is all about the Windows 10 update error 0x80070422. I tried my best to put together the working solutions to fix the update error. 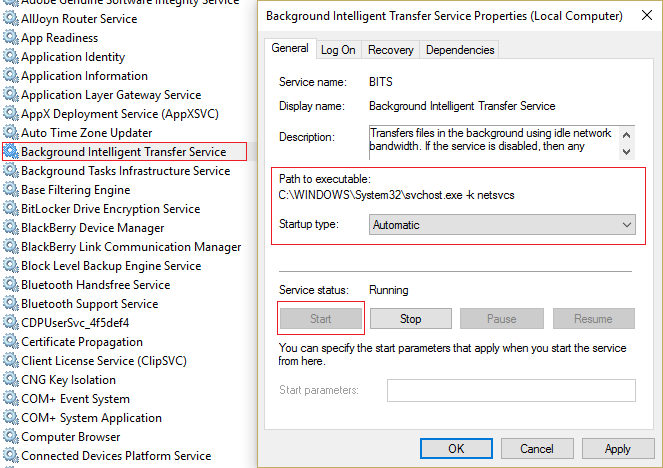 Try the given solutions and check whether the error is resolved or not in Windows 10. 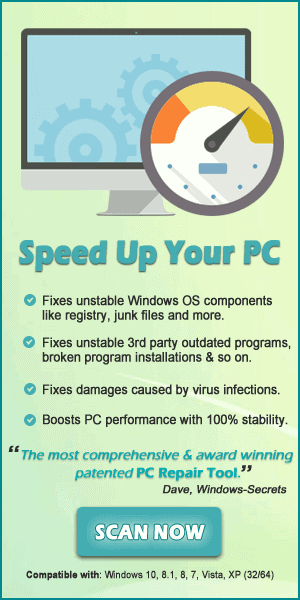 Apart from that, it is also recommended to scan your system for virus/malware infection with the good antivirus program and also keep your operating system and drivers updated to fix various the Windows 10 OS related issues and make the system perform better. 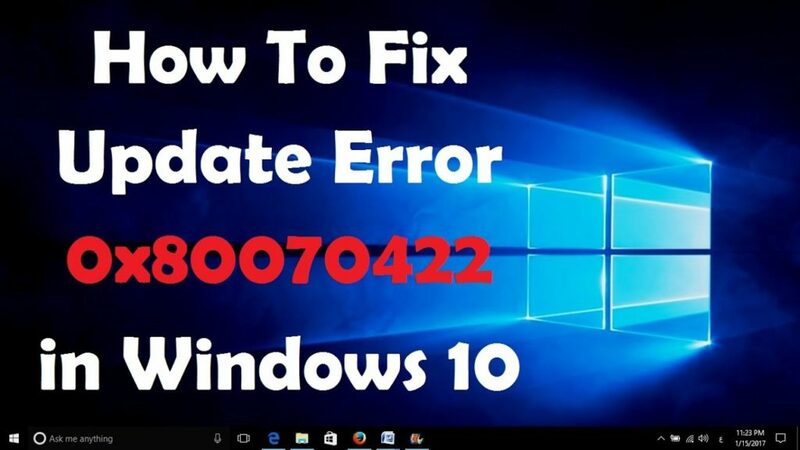 Are you the one dealing with Windows 10 update error 0x80070422, want to fix it, then here follow the complete working solution to get rid of it easily and update your Windows 10 OS flawlessly.